My name is Tamera Mickelson and I’m a jewelry artist! I make distinctive wearable art that stands out in a crowd! I use a variety of techniques to create my pieces including: Bead weaving, riveting, Ice Resin, metalsmithing, bead embroidery, and painting. In my Ice Resin pieces I often use layers to create visual interest. I incorporate recycled watch and hard drive parts, found objects, and have started painting backgrounds on some of my newer items. I’ve been exploring both symmetrical and asymmetrical designs. I have taken three quarters of the Jewelry Design Certificate courses at North Seattle College and I have been doing continuing studies with Danaca Design. I completed the Business Development, Financial Management, and Advanced Marketing programs at Ventures (a local non-profit organization that helps low income folks start small businesses) and continue to work with them to create a successful business! 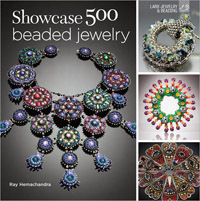 One of my beaded items is included in the Lark Publication ‘Showcase 500 Beaded Jewelry’ released in late July 2012! 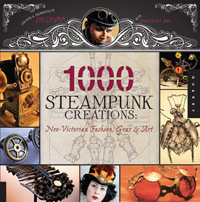 Three of my beaded items are in the book ‘1000 Steampunk Creations’ released in June 2011 by Quarry Books.